Individuals are asked a number of questions regarding their personal information such as their address, telephone number, date of birth, and out-of-wallet questions to determine their identity. After this process, individuals can submit an application to see if they are eligible to receive benefits. The audit found that the exchanges did not successfully verify the identity of 35,276 individuals, and these individuals received $112 million in advance premium tax credits. The report notes that the majority of these applications—99 percent—had no verification process performed on them, and 251 failed identity verification. "When we provided the results of our review to the Centers for Medicare and Medicaid Services, management stated that the ACA does not require the exchanges to verify an applicant's identity," auditors said. "Management indicated that identity information is not a requirement or a factor in the determination for an individual's eligibility for health insurance coverage through the exchanges." Additionally, auditors found that there were 11,388 individuals who received $21.8 million in tax credit payments even though one or more of the eligibility requirements were not met. For 2,498 of applications, there was no data present indicating that the exchanges did not verify eligibility at all. To be eligible to receive the premium tax credit, an individual must be a citizen or be lawfully present, be a resident of the state where the exchange was located, and not be incarcerated. 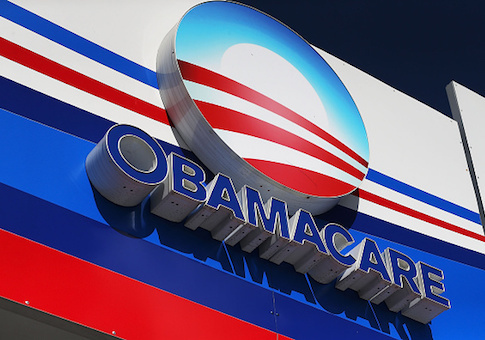 In some cases, individuals who were not eligible for benefits were able to continue receiving tax credits due to Obamacare's "good faith" provision. Management at the Centers for Medicare and Medicaid Services said that if an individual attempts to support his eligibility by submitting any documentation, regardless of its relevance, it was considered a good faith effort and that person could still receive benefits. "As such, these individuals continued to receive the advance premium tax credit and were not terminated during calendar year 2014," the audit states. "We do not believe it is appropriate for the exchanges to allow individuals for whom they know one or more of the eligibility requirements were determined to have not been met to continue to maintain insurance coverage and receive the advance premium tax credit for a full calendar year." In response, the agency said they would commit to improve performance and protect taxpayer dollars. "In 2014, the Marketplaces allowed for greater flexibility in resolving inconsistencies because this was a new process for consumers and some consumers needed more time to understand what was needed to resolve their inconsistencies," said Andy Slavitt, acting administrator at the Centers for Medicare and Medicaid Services. "The Marketplace continues to review documentation submitted by consumers and will continue to end enrollment through the Marketplace and/or adjust advance premium tax credits and/or cost-sharing reduction amounts as appropriate." "Moving forward," said Slavitt, "the Centers for Medicare and Medicaid Services remains committed to improving the performance and outcomes of the state-based and federally-facilitated Marketplaces as well as continuing to protect the integrity of taxpayer dollars."